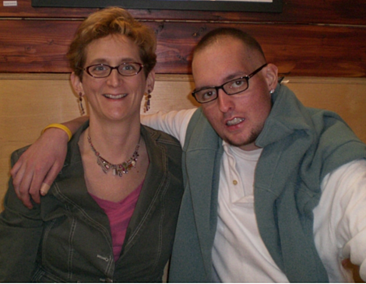 After Zach’s death, I became committed to helping other patients and families better manage medical conditions. Being a patient, or family caregiver, is overwhelming hard work for which no one is ever truly prepared. I founded the non-profit Zaggo to help patients and family caregivers be more engaged, empowered, effective members of their medical team. I created the ZaggoCare System®, comprised of a 120 page guide with practical advice, along with organizational tools, to help patients and families receive the best care possible. In your work to help patients and caregivers, what are some of the most common barriers to patient engagement? Most patients and family caregivers do not know how to be an effective member of their medical team, nor do they realize the importance of doing so. It’s certainly easier to “sit back” and let the medical professionals take care of everything for you, but studies show that patients who are engaged in the process have better care coordination and a reduced risk of being a victim of a medical error. Effective patient-doctor communication leads to better adherence of treatment plans, better medical decisions, and better health outcomes. Yet, this is easier said than done. Doctors struggle to see patients in time-limited slots. Patients and families are so overwhelmed they can barely understand, never mind process, the information presented. The statistics are staggering. 40-80% of what patients hear in doctors’ offices is forgotten immediately – and even when information is remembered, almost 50% is remembered incorrectly. Without clear understanding of medical information, patients are more likely to skip medical tests, go to the ER more often, and have difficulty managing chronic illness. People are struggling with medication regimens. More than 50% of Americans don’t take their medications as prescribed. Being non-compliant with medication regimens, such as skipping or delaying doses, or taking the wrong dosage, leads to thousands of adverse health events or deaths every month in the U.S.
A recent report found that family caregivers feel unprepared for medical responsibilities, including medication management and coping with the lack of care coordination. How can all healthcare stakeholders improve patient engagement? Improved patient engagement can only be achieved when all parties are committed to the task, including patients, families, medical staff and pharmaceutical companies. There are many things doctors and other medical staff can do during appointments to engage patients, including truly listening, answering questions in understandable language, and giving patients the time they need during appointments to have all of their questions and concerns heard and answered. Doctors can be more mindful about the ways in which they might interrupt or cut patients short; a common and often unintentional habit that is not only intimidating for patients but can make it difficult for the patients’ stories to be heard and understood. Additionally, doctors can make sure patients have understood the discussion by asking the patient to summarize the conversation. Doctors should directly ask patients if they think they will be able to comply with instructions, or if they foresee barriers that might make it difficult. Pharmaceutical companies should employ patient-centric strategies and tactics to all their studies and continue to be patient focused once a drug is commercially available. A deep understanding of the patient beyond the condition should be the foundation upon which everything sits. Pharmaceutical companies should also survey patients to find out what their specific needs and challenges are, and involve them much earlier in the trials process – even as the study protocol is being developed. And they can and should work to ensure better data transparency and sharing.